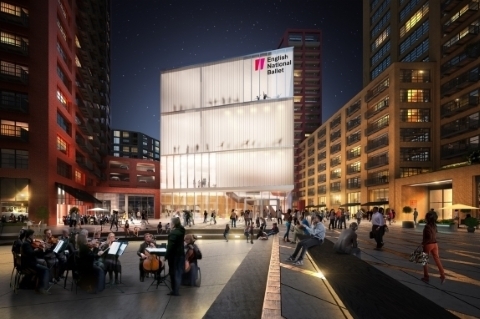 English National Ballet’s 2018-19 season will begin as it and the English National Ballet School prepare to move to a new purpose-built home at London City Island in Canning Town. The company has been successful in its stage two application to Arts Council England’s Capital Large Grants programme for a £3 million investment in its future home that will bring company and school together for the first time. The new building will include seven stage-sized studios, a production studio that includes a five-storey fly-tower, and state-of-the-art training, fitness and rehab, and teaching facilities. One of the first new productions to be created in the new facility will be Christopher Wheeldon’s in-the-round version of Cinderella, to be performed in June 2019 at the Royal Albert Hall. 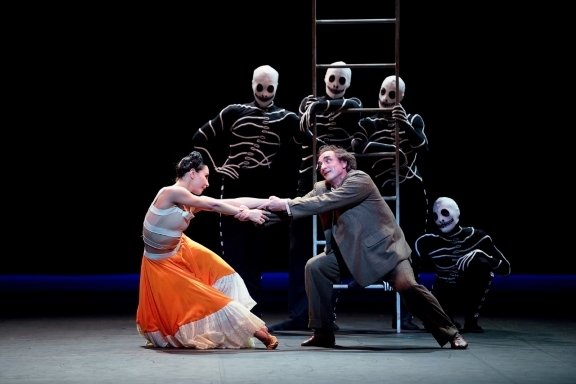 The production will feature over 90 dancers and promises many theatrical surprises. At the press conference announcing the season, Rojo digressed from that and the move to defend her relationship with company lead principal Isaac Hernandez, which began around 18 months ago. She said the pair had always been open and honest about their relationship and denied there was any conflict of interest or that it was a case of ‘one rule for her, another rule for others.’ It was also pointed out that there are company rules prohibiting relationships between any staff. While they will invariably cause suspicion in what is a very competitive profession, such things are far from unknown, of course. Indeed, at least now one former director elsewhere had both his wife and son among the high-ranking dancers at one point. There have also been anonymous accusations in a blog of bullying and dancers being asked to work when not fully fit, although it is understood no-one has spoken on the record and no official complaint has been made. Rojo said she was disappointed and distressed to read that some members of the company were unhappy. While not perfect, she has always tried to do her best for company and artists, she said. Returning to the 2018-19 season, it will see a second programme dedicated to female choreography, She Persisted, at Sadler’s Wells in April 2019, that will include the premiere of Nora, a new work by first artist Stina Quagebeur, based on Ibsen’s A Doll’s House. She Persisted also sees the return of Pina Bausch’s Sacre du Printemps (The Rite of Spring), and Annabelle Lopez Ochoa’s Broken Wings, the latter based on the life of Frida Kahlo, and in which Irek Mukhamedov, reprise his role as Diego Rivera. To commemorate the end of the First World War, English National Ballet’s Lest We Forget programme returns to Sadler’s Wells in September 2018, featuring works by Liam Scarlett, Russell Maliphant and Akram Khan. Autumn 2018 sees English National Ballet tour Kenneth MacMillan’s Manon for only the second time in 30 years, with performances in Manchester, Southampton and Milton Keynes. Also touring in the autumn is Derek Deene’s production of Swan Lake, which can be seen in Liverpool and Bristol. Both Manon and Swan Lake will feature in the company’s January 2019 London Coliseum season, as part of which Nutcracker also returns. 2019 will see the tenth anniversary of the company’s Emerging Dancer competition, and more of the My First Ballet series. Two years since English National Ballet became the first UK company in 60 years to perform on the Palais Garnier stage, ENB in Paris will be released in June 2018 via the company’s YouTube channel. Directed by Michael Nunn and William Trevitt, this five-part documentary follows the company as it prepares to dance Le Corsaire. Internationally, next season sees performances of Akram Khan’s Giselle at the Harris Theater in Chicago and at Moscow’s Bolshoi Theatre as part of the Chekov International Festival. Spirit of India: A Dance Show!